You’ve undoubtedly heard the old Ralph Waldo Emerson saying, “Build a better mousetrap, and the world will beat a path to your door.” That quality-wins-out battlecry is what drives all the best Indiegogo funding projects — and Lofree is winning with the formula. The tech upstart has carved out quite a name for itself over the past year, showcasing cutting edge wireless speakers and keyboards with a gorgeous retro design aesthetic. It’s what’s helped Lofree generate over $1 million in backing from Indiegogo funders. Now, you can join the Lofree movement with a pre-order of the latest supremely cool addition to their product line, the new Four Seasons Wireless Mechanical Keyboard. It’s only $99.99 from TNW Deals. The Four Seasons works like a high-end wireless keyboard — and it looks a heck of a lot better. 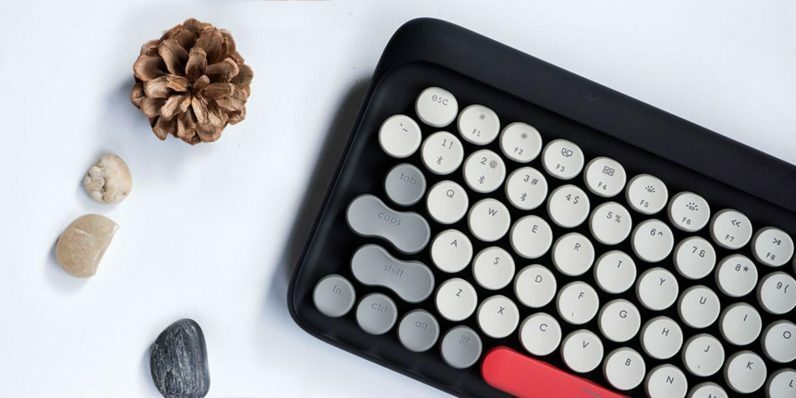 With large-sized keys, an optimized layout and a smooth 60s-style design, it’s definitely not that standard cookie-cutter black plastic keyboard you’re used to. It’s elegant with a touch of vintage glamour that actually adds to your workspace vibe. Yet while the Four Seasons may look like something out of the “Mad Men” era, the tech powering this beauty is anything but old school. The keyboard sports Gateron blue switches, requiring a lighter touch from your fingertips for more comfortable typing. It fully recharges in five hours and connects seamlessly on up to three iOS, Android or Windows PC devices. You can even choose between three different backlight settings for just the keyboarding ambiance you’re looking for. Lofree expects to start sending out the Four Seasons next month, so get in on the deal now with this limited time offer and get it for just $99.99.